HELOC vs. Home Equity Loan - Which Home Equity Financing Option Is Right for You? Do you need cash and own your home? Do you have equity? If so, you may have the solution to your problems right in front of you! Homeowners needing cash may be able to leverage their property with a home equity or HELOC-loan and use it for how they see fit. Equity is defined as the current value of your home minus the amount of any mortgages against it. So if your home is worth $200,000 and you owe $125,000 on the mortgage, you have about $75,000 in equity available to borrow. Once you determine how much equity you have in your home, now you need to decide what type of loan to get to borrow it. The most common choices are home equity lines of credit and the home-equity loan? Which is better? It depends upon your needs. Let’s take a close look at both. One of the most significant advantageous of home-ownership is having the ability to access money at an affordable interest rate. A home-equity mortgage will have a fixed interest rate and they are fully amortized. This means that as you make your payment, you are paying both principal and interest. There is no negative amortization or interest only payments that do not reduce principal. Home equity loan and HELOC rates are typically slightly higher than competitive first mortgage rates. However low-credit home equity loans will carry a much higher interest rate. On the other hand, a home equity line provides you with a line of credit like a credit card; the only difference is the line of credit is provided by the equity in your home. You may borrow up to that amount and no higher in a certain period of time – typically five or ten years. For tax purposes a HELOC is considered a 2nd mortgage as well. The HELOC account requires you to make monthly payments, which may be interest only for a certain period of time. After that, you will need to start to pay both interest and principal. In some cases, the interest rate on HELOCs is usually lower than home equity loan, but the rate is variable over time. Whichever loan type you choose, the major benefit of borrowing home equity is that you can borrow the money at a low interest rate. The money is secured by your home, so the bank is able to offer you a loan at a lower interest rate. Home equity is always going to offer a much lower interest rate than an unsecured credit card. Also, the interest on a mortgage is usually tax deductible; you will need to check with your tax professional on your particular case. If you can write of the mortgage interest, you could quite easily save hundreds or even thousands in taxes every year. The home equity loan and line of credit helps thousands of homeowners gain quick access to affordable money. There are still a few creative mortgage companies out there offering a 2nd mortgage in conjunction with a purchase mortgage to achieve a home loan with no down-payment. You see if you get approved to buy a house with this combination of financing, you save money from not needing a down-payment, while also avoiding monthly mortgage insurance at the same time. HELOCs vs Home Equity Loans? When you are considering which loan to get, the reason you are borrowing the money is a key in your decision. If you have a big one-time expense, or you want to pay off a big chunk of debt, you may want to get a home equity loan. That way you may pay for the expense and you will not have any open credit line available; this can tempt you to spend the money on things you don’t really need. However, if you are going to have a steady stream of expenses, such as college tuition or a home renovation project, you may want an equity line of credit. This type of financing will let you pull out equity as needed, so you only pay interest on the money you use. A home equity credit line also allows you to have that open credit line just sitting there unused for several years. So if you ever have an emergency expense and you need cash fast, you will have it at the ready. This type of situation gives many homeowners more peace of mind. You never know when you may need to have the roof replaced, or if there is a sudden medical emergency in the family. Keep in mind that both loans have higher rates than first mortgages. A home equity line will usually have a lower initial rate than a home equity loan, but the HELOC’s payment can fluctuate, whereas the home equity loan payment is fixed. Home equity loans do have formal closings and the associated closing costs, while HELOCs do not have a formal closing, so the initial expenses are lower. Read more about home equity questions to ask the FTC. Get a Variable Rate HELOC or a Fixed Home Equity Loan? This will depend upon you and your situation. 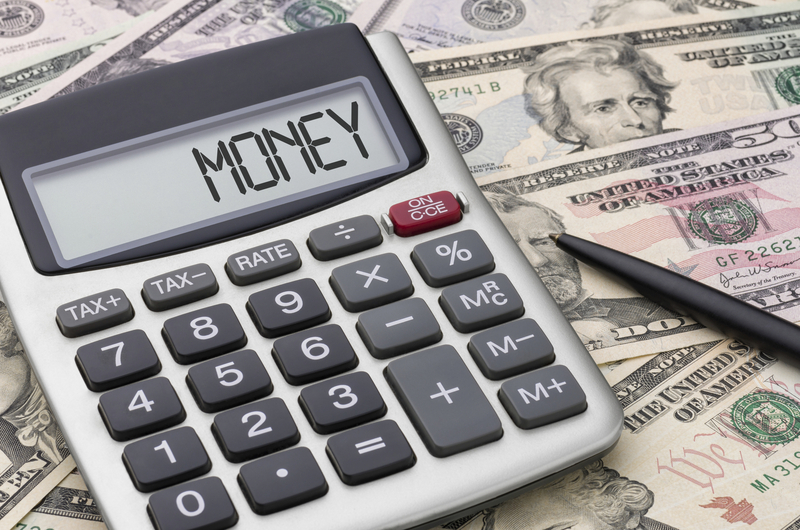 If you need a lot of cash all at once, you may want to get a home equity loan. This is often the case to pay for a college education. Also opt for a home equity loan if you are more risk averse and want to know exactly what you will be paying each month and for how long. If you are unsure how long you need cash, you may want the HELOC. A HELOC has a variable interest rate, so you need to be tolerant of a higher risk level. Also, you only pay interest on the money you have pulled out. In both cases, your second mortgage loan is usually 100% tax deductible. What Are the Risks with Home Equity Financing? There are four major risks. First, you must pay back what you owe or you will lose the home. Be sure you can pay back the loan. Second, you pay a higher rate than the first mortgage; the second is paid off after the first if you have a foreclosure, so you pay a higher rate. Third, all second mortgages have closing costs of 3-6%. Fourth, if you get a HELOC, the rate can rise, and you will certainly have to pay a higher amount eventually when you start to pay back principal after five or 10 years. There is no perfect answer on the HELOC vs. home equity loan question. Which you select comes down to the reason you need the money, your personal financial situation, and your risk tolerance. People who want a lower rate and are OK with a variable rate may prefer the HELOC loan. But if you are OK with a higher rate and more security, a home equity loan may be better. 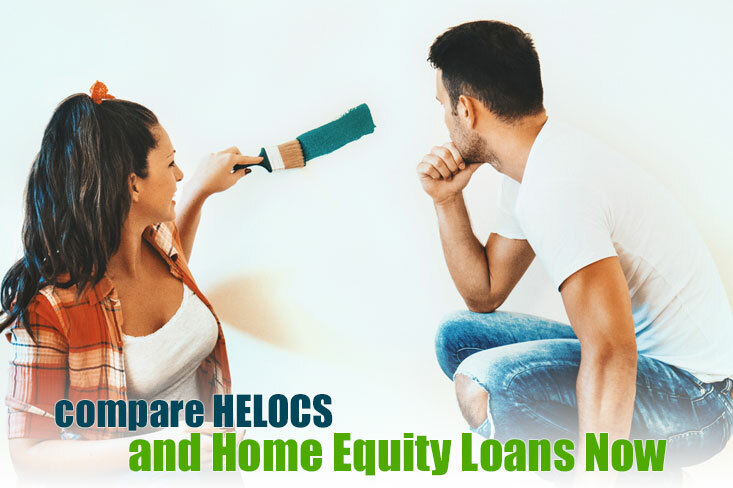 If you are doing home remodeling or rehabilitation and you are not exactly how much you need to borrow then a HELOC loan may be the ideal choice. Especially if you do not know when you will need the money, because with a HELOC, you only pay interest on the portion you access. Remember that whichever you choose, you are putting your home on the line by signing the loan paperwork. If you don’t pay, you can lose your home. So make sure that you are borrowing the money for a good reason, and be sure that you make that payment on time each month. Many financial advisors and mortgage brokers consider the HELOC the best home improvement loan, mostly because of the product’s flexibility. 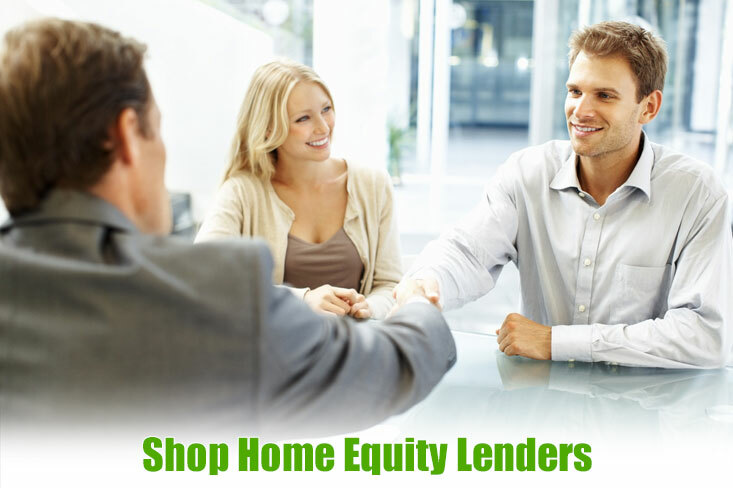 Take a few minutes and discuss your needs and goals with a Home Equity Specialist now. The home equity credit line has a lower, variable interest rate than a home equity loan. That second mortgage has a fixed rate and payment plan. A HELOC usually has a low, interest only payment at first during the draw period of five or 10 years. Then, you begin to pay back principal. The home equity line rate also is variable and can go up or down during the loan term. The rate on a HELOC will be higher than a first mortgage, but it is still very low. Just be sure that you will be able to make the higher payment once you have to start paying principal. The biggest reason that people get a HELOC for their home renovations is that the interest rate is a lot lower than an unsecured loan, such as a credit card. HELOCs and home equity loans are secured by your house. If you don’t pay the loan, you lose the home in many cases. The home equity lender knows that people will do all they can to pay their mortgage, so they are able to loan you money at a lower rate than what you can get with a credit card or a personal loan. The fact that that the rates are great on credit lines for home remodeling is a wonderful benefit. You could easily save more than 10% per year in interest with a HELOC over a personal or unsecured loan. You can usually write off mortgage interest on your taxes, depending upon your financial situation. This can save you a bundle on taxes every year. You may not write off personal loan or credit card debt. Just like a home equity loan, a HELOC can actually be part of an effective tax reduction strategy. It is unlikely that you will ever be able to get a loan for home renovations at a lower rate than what you can get with a HELOC. A second mortgage is not as onerous in terms of paperwork and underwriting as a first mortgage. You will need to prove your income and credit, but underwriting will usually take less time. Most people can close a HELOC in a few weeks. Using a low interest home equity line can be a smart home finance decision because you are theoretically adding value to the property. If the renovations are done affordably and wisely, you can get much of your money back when you sell the home. Minor bathroom upgrade. This type of renovation includes replacing the tub, tile, floor, toilet, sink and fixtures. If the renovation costs you about $10,000, you can expect to get more than 100% return on your investment when you sell. Landscaping. The typical home owner will spend approximately $3500 for new landscaping and $1500 for a designer. This also can return 100% on your investment if you design the new landscaping carefully. Minor kitchen upgrade. A typical $15,000 kitchen upgrade includes a new oven, cooktop, sink, fixtures, countertops and flooring. Add in some recessed lighting and you can get almost 100% return on your investment. Exterior upgrades: If you upgrade the vinyl siding, paint, and front entry for about $7000, you can get 95% of your money back when you sell the home. Replace windows. If you replace 10 windows, this will run you close to $10,000. You will get back up to $8700 back when you sell the home. You also will likely enjoy better energy costs, really making this upgrade worth it. Getting a HELOC or a home equity loan is a fantastic way to maximize your financial benefits as a homeowner and to do house renovations at a low interest rate. In most cases an equity line of credit offers a lower initial monthly payment than a home equity loan, so it can be a good fit for you if you are confident you will have the additional income in the future to pay in the principal.